Last week we opened a new passive trap in a stream bed within the Dry Evergreen Forest of Sakaerat SERS. After just one night of trap closure, a rarely seen Yellow-striped Rat Snake Coelognathus flavolineatus was found during early morning checks. It was the second individual encountered here over 3 years making it a great find. This species grows up to 1.8m in length and is terrestrial (with good climbing skills). A constrictor that preys on small mammals, eggs and frogs, it is crepuscular (active at dusk)/nocturnal and oviparous with clutch sizes from 5 to 12 eggs. NON VENOMOUS. The picture below is juvenile of this species. And the sub-adult female recently captured in the trap. Our most recent N. kaouthia was noticed in the Dry Evergreen Forest forest by the bird team on 24th June 2016. Snake was crossing main road in the forest. Once encounter snake move off the road and hide in tree roots. On our arrival, after snake was left alone for about 15 minutes, we noticed that snake was sitting stil just next to the road. One of the easiest capture I remember. Naka016 is 1.65 m male. He weight just over a kilogram. He has very distinguish hood mark, where mark is incomplete on top. 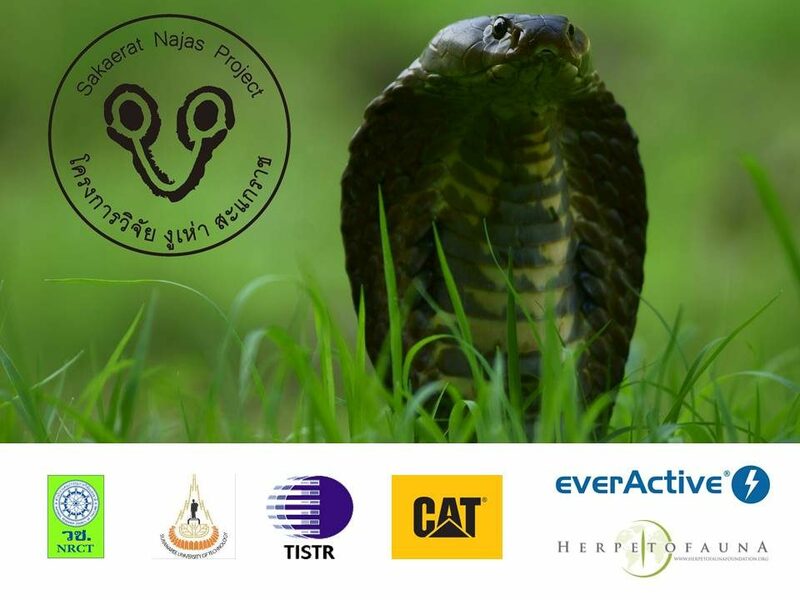 We are happy to add this snake to our study, especially that this snake will potentially share his home range with Naka015 and Naka014.